Manny’s one of seventeen children, raised in a Chabad household - the most common form of ultra-Orthodox Judaism. 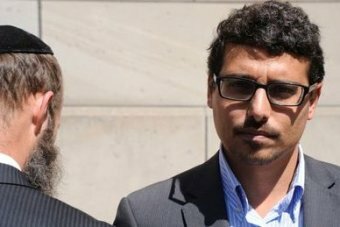 The children attended religious schools and spent a lot of time at the Yeshivah, a religious study centre, where much of Manny’s abuse took place. He says community leaders turned a blind eye. Now an advocate for survivors of child sexual abuse, he campaigned successfully for a public hearing into Australian Jewish Institutions at the Royal Commission, and has written a book called “Who Gave You Permission - the memoir of a child sexual-abuse survivor who fought back."